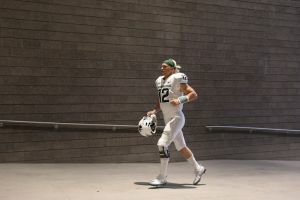 When Rocky Lombardi took the field as Michigan State’s starting quarterback last weekend, it was another example of how this season has turned out a lot different from what the Spartans envisioned. Then Lombardi guided his team to a victory over Purdue, and by game’s end, the Spartans were feeling a bit better about themselves. Lombardi threw for 318 yards and two touchdowns in Saturday’s 23-13 victory , and perhaps most significantly, he avoided any interceptions. 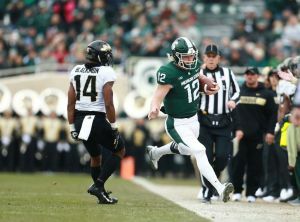 It’s not clear how long Lombardi will hold the starting job ahead of Brian Lewerke, who has been dealing with a shoulder injury, but Michigan State has to be encouraged so far by what its backup quarterback showed against Purdue. For what it’s worth, Lewerke and Lombardi are listed together atop the team’s depth chart heading into Saturday’s game at Maryland. 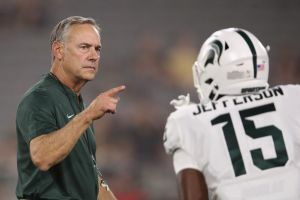 Michigan State came into the season with high expectations, thanks in part to the fact that Lewerke and running back LJ Scott were back from last year’s 10-win team. 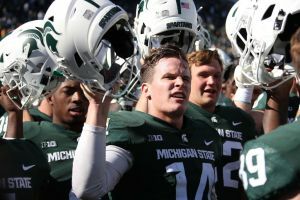 Scott, however, has played in only four games, and Lewerke’s health issues eventually sidelined him as well. 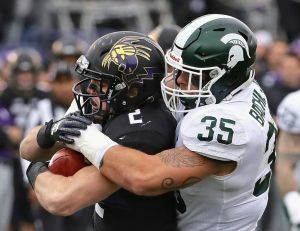 The Spartans were reeling a bit after being shut down in a loss to Michigan two weekends ago, but Lombardi replaced Lewerke, and Michigan State rebounded against a Purdue team that was coming off a big win over Ohio State. Lombardi attempted 46 passes, and the offense didn’t look much different from usual in terms of play calling. One area Lombardi feels could improve is his accuracy throwing deep. Lombardi, not surprisingly, said he heard from plenty of supporters after the game. 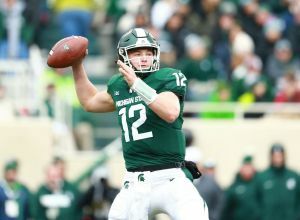 Michigan State (5-3, 3-2 Big Ten) is a longshot to win the Big Ten title after two conference losses, but the quarterback situation may go a long way toward keeping the remaining games in 2018 compelling. 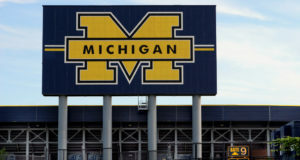 Lewerke is a junior, so the questions about who starts could persist well beyond this season. For now, however, Lombardi has brought some intrigue. He says he has no expectation for when he’ll find out who plays this weekend, but he’ll be prepared regardless. NOTES: Dantonio said injured OL Matt Allen will not make the trip this week. 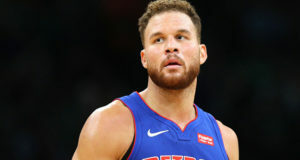 He also missed the Purdue game.